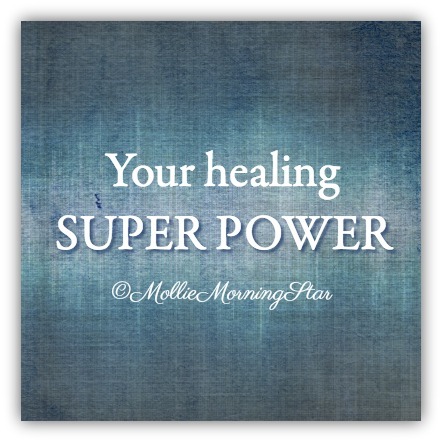 Did you know that within you exists a special, yet often underused, tool for healing? It’s just waiting for you to discover it and harness its capacity to help you on your journey to wellness. Years ago, an older friend said to me, “Time wounds all heels.” It's a tongue-in-cheek play on the phrase “Time heals all wounds,” but it did make me think. As the years roll by, the chance of experiencing a profound loss increases, and as we learn to integrate these losses into our overall life experience, we mature. Emotional gifts like compassion, connection, and empathy are the result of experiencing and living through something horrible. I would never tell anyone who experiences the loss of a child or partner, “Time heals all wounds.” As if just waiting it out could take away the pain. That's impossible! If you aren’t processing your feelings and exploring your faith during that time, there’s a very good chance that 10 years from now, you’ll be in the same emotional state that you are in now. Losses—whether they take the form of the passing of a beloved person, a divorce, a job, or your health—give your Soul an opportunity to grow. I get it. A loss isn’t a continuing education class you enrolled in and are eager to learn more. No one signs up for cancer. We don’t get married looking forward to a relationship becoming irretrievably broken. And while the “Bereaved Parents Club” is the group that nobody wants to join, membership can begin in the blink of an eye. So, what is your hidden power? Patience! When life delivers this very common experience of loss, we can rise to meet it with patience. While time alone won’t heal your wound, you must give yourself all the minutes, days, and years that you need to have the experiences that rebuild strength. The actions we take to integrate the loss into our new lives take an amount of time we yearn to measure. We may ask, "When will the pain stop?" but that measurement is different for everyone. We first have to come to terms with the idea that what we once knew is now complete. No matter how much we loved or hated what we once had, we have to realize that our world has crumbled, and we have to start at ground zero to rebuild a life around a deep wound. I have a brave, young friend named Jess who has just given birth to her first child, a beautiful baby girl. Sadly, at the same time, she became a cancer patient, fighting for her life. She has been gracious enough to share her story within a group on Facebook, and I can tell you, the pictures of a bald baby and momma make you pause. Unexpectedly stripped of her health, she is reinventing herself, not only as new mother, but as a new mother with a massive “wound” called cancer. Her illness is forcing her to dig as deep as she can to find the hope and the will to endure whatever happens. She’ll never go back to the emotional place she was in before cancer, but as she marches bravely towards the future, I know she’ll be surrounded by other survivors and by people who love her. They will, in time, help her to integrate inner peace as she navigates uncertainty. The pain of loss can be so acute that it strips us of our ability to be creative, solve problems, or imagine something new. I have never come across a person who took the time to think over a concrete plan of action for the “what-ifs” that might arise in the course of a lifetime. What if I get cancer or what if my child is killed? Few people truly have a detailed plan for how to navigate and integrate these massive upheavals before they occur. It takes patience to endure the acute pain of a sudden loss as an act of self-compassion. As we journey down our path of healing, we begin to have experiences that spark our faith in a loving power, greater than ourselves. My wish for you is that the spark will reignite a hope to live a meaningful life. There is a phrase, “Patience is a virtue.” I say it’s a gift. It's a gift that you need to give yourself as you navigate a life that you didn’t plan for. You will need time to explore different ways to heal and discover which ones help you. Each of us will experience loss by at some point, and grief is a totally natural response to loss. Many people who have had a session with me say that it was the catalyst for their grief to begin to convert to healing. Indeed, there are few things that can compare with the comfort that comes from receiving evidence that the person you love continues to exist in the energetic Soul form. But knowing a Soul lives on in a state of connected well-being is not always enough to navigate the unwelcome changes we have to face. What if your patience is not enough? You may be experiencing complicated grief in which unresolved and acute grief persists even after time passes. In that case, it's important to seek help from a qualified professional. It may be that because of limitations on health care and insurance, you only have access to a local therapist who doesn’t specialize in complicated grief. It may help to read this informative article that details the experience a bereaved mother had in treating her unrelenting, complicated grief years after her son passed. It profiles the work of M. Katherine Shear, who is the Director of the Complicated Grief Treatment Program at the New York State Psychiatric Institute. There is also an interesting YouTube video with a Q & A with Dr. Shear available here: https://www.youtube.com/watch?v=aAEfYSOS8W8. Whether you’re newly bereaved or struggling though the occasion grief wave, please remember to access that gift that lies within you to be patient. Time alone won’t heal a wound, but time is needed to recognize what issues need resolving, explore your options, and then do the work. ©Mollie Morning Star 2018 Short excerpts of this article may be shared on the internet provided a live link back to this original source is used. Reproduction in print is prohibited.